Samsung Galaxy A7 (2018) and Galaxy A9 (2018) prices have been dropped in India. As a result of the new development, the Galaxy A7 (2018) price now starts at Rs. 18,990, while the Galaxy A9 (2018) comes with a starting price of Rs. 33,990. 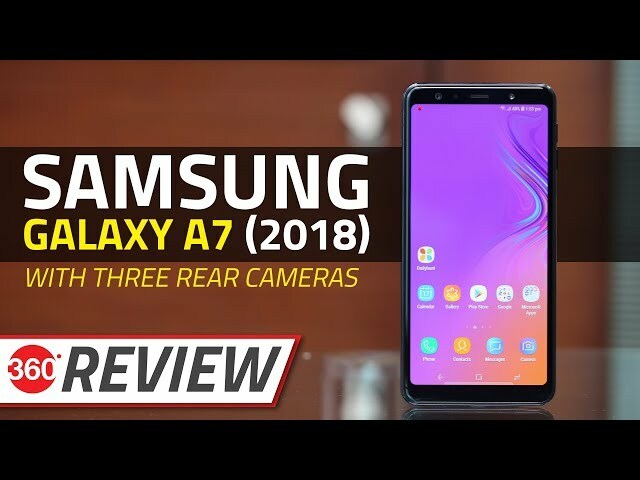 Samsung launched the Galaxy A7 (2018) in the country as its first triple camera smartphone back in September last year. 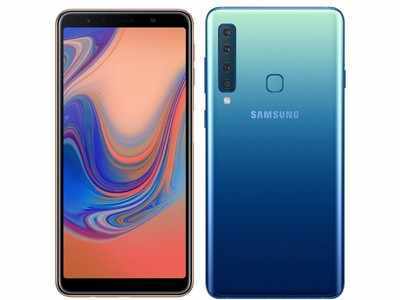 The Galaxy A9 (2018), on the other hand, arrived as the world’s “first rear quad camera” smartphone last November. Gadgets 360 has independently confirmed the price cut, first reported by an established Mumbai-based retailer. With the new price cut, the Samsung Galaxy A7 (2018) that was launched at Rs. 23,990 for the 4GB RAM/ 64GB storage variant is now available at Rs. 18,990. The 6GB RAM/ 128GB storage model of the smartphone that debuted at Rs. 28,990 has also received a price cut of Rs. 22,990. Similarly, the Samsung Galaxy A9 6GB RAM/ 128GB storage variant price has been dropped from Rs. 36,990 to Rs. 33,990, while its 8GB RAM/ 128GB storage variant is now available at Rs. 36,990. The top-end RAM model notably debuted in India at Rs. 39,990. Mumbai-based Mahesh Telecom first reported the latest price cut through a tweet posted on Friday, and as we mentioned, we’ve managed to independently confirm the price cuts. Amazon.in has already listed the Galaxy A7 (2018) and Galaxy A9 (2018) with the new prices. However, Flipkart and the Samsung India e-Store were still showing the old price tags at the time of filing this story, but should soon reflect the new prices. Last month, Samsung dropped the prices of the Galaxy A6+ and Galaxy A8 Star₹ 26,890 in India. The South Korean company also made its Galaxy J6+₹ 12,340 and Galaxy J8₹ 15,190 more affordable than before. The dual-SIM (Nano) Samsung Galaxy A7 (2018) runs Android 8.0 Oreo with Samsung Experience 9.0 on top. The smartphone sports a 6-inch full-HD+ (1080×2220 pixels) Super AMOLED Infinity Display with an 18.5:9 aspect ratio and comes with Gorilla Glass 3 protection. Under the hood, there is an octa-core Samsung Exynos 7885 SoC clocked at 2.2GHz, paired with 4GB and 6GB RAM options. Samsung has provided a triple rear camera setup that includes a 24-megapixel autofocus sensor along with an f/1.7 aperture, an 8-megapixel ultra wide sensor with an f/2.4 aperture, and a 5-megapixel depth sensor with a fixed focus lens sporting an f/2.2 aperture. For selfies, the Galaxy A7 (2018) sports a 24-megapixel fixed-focus camera sensor at the front along with an f/2.0 aperture and an LED flash. For storing content, the Samsung Galaxy A7 (2018) comes with 64GB and 128GB storage options that both are expandable via microSD card (up to 512GB). Connectivity options on the smartphone include 4G VoLTE, dual-band Wi-Fi 802.11ac, Bluetooth v5.0, ANT+, NFC with Samsung Pay support, GPS, GLONASS, Beidou, and a 3.5mm headphone jack. Sensors on board are an accelerometer, gyroscope, proximity sensor, RGB light sensor, and a side-mounted fingerprint sensor. Lastly, the smartphone packs a 3,300mAh battery and measures 159.8×76.8×7.5mm. In terms of capturing selfies and video chat, the Galaxy A9 (2018) has a 24-megapixel sensor at the front that comes with an f/2.0 aperture. The front-facing sensor also enables a preloaded Face Unlock feature. The Galaxy A9 (2018) comes with 128GB on internal storage that is expandable via microSD card (up to 512GB). On the connectivity front, the phone has 4G VoLTE, Wi-Fi 802.11ac, Bluetooth v5.0, USB Type-C, NFC, and a 3.5mm headphone jack. Onboard sensors include an accelerometer, ambient light sensor, gyroscope, magnetometer, proximity sensor, and an RGB light sensor. There is a fingerprint sensor at the back. At last, there is a 3,800mAh battery that supports fast charging.